Travel (via transit, as usual) to Victoria to visit friends. Nope. Edit: Whoops! Forgot #2... Heh. Did a lot of forgetting of things. I blame baby-brain. Go camping: probably tent camping with a car at a provincial park--nothing too strenuous. Didn't get to this one either. Stay on at least one of the Gulf Islands for a weekend or more. Still nope. Go hiking: likely not anywhere too ambitious--given my 'delicate condition'--maybe a quick one to Quarry Rock or something? Again, nope. 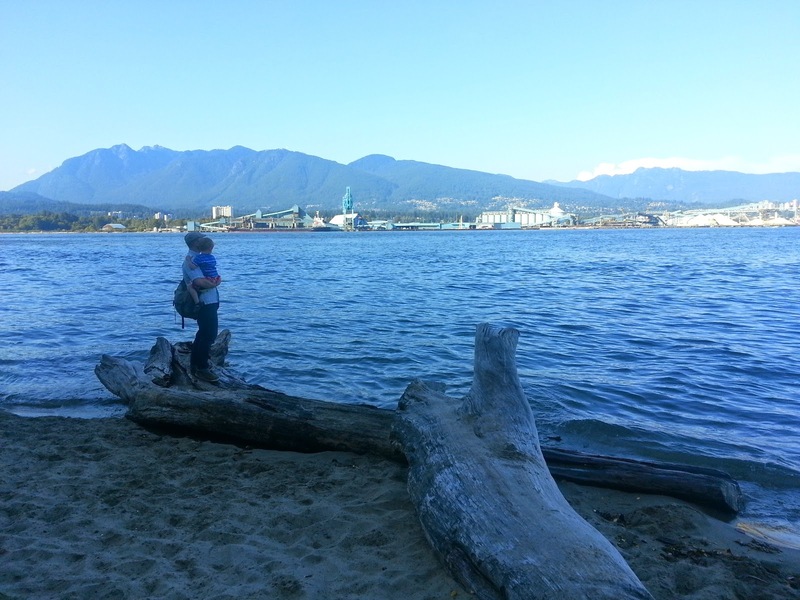 Visit Spanish Banks at low tide & play on the sand bars. We did make it to Spanish Banks but not at low tide. Go to the Vancouver International Children's Festival at least once. YES, we did this twice! & it was awesome, as always! Have a picnic dinner in a park somewhere. Brought Hawkers Delight takeout to VanDusen Gardens. Sadly, they forgot to include the rice with our order & some of the food included a piece of packaging in it, but we picnicked, yes we did. Host a barbeque with friends. We had people over for food, but I think we didn't actually use the barbeque to do it. We'll still count it. Make popsicles! I keep seeing great recipes for interesting & healthy versions online that I need to try. Inspired by the 50 pounds of plums, pears & apples we got from our Tinka Orchards CSA, I whizzed up some plums in the blender with cinnamon & a little cane sugar. Go swimming in an outdoor pool like Kits or New Brighton. Done! We swam at New Brighton one very warm evening. See some outdoor movies. It was so much fun last year seeing The Princess Bride in David Lam Park, Monty Python & The Holy Grail & Labyrinth in Ceperley Meadows. I definitely want to do it again! Getting to these events is best done by transit plus a bit of a walk, or biking. Most of the movies happened once I'd gotten too pregnant to comfortably use either combination of transportation, so we just didn't go. :( Sprout & Oli did make it to a movie in the park near our house, but I was so tired that night that I stayed on the couch. Maybe I'll give us a half point for that one. Hooo, 8.5/13? Not a brilliant score, probably would get us a grade of C. There's always next summer, I guess. Did you write a bucket list for this summer? How did you do at ticking off the items? Care to share your 'score' below?